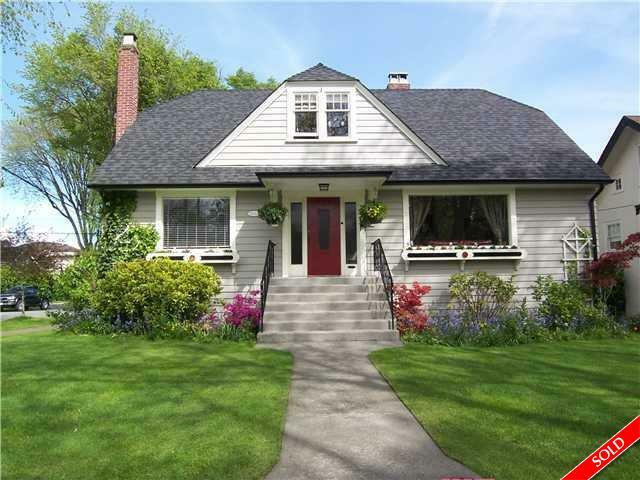 Description: Wonderful character family home in Mackenzie Heights. Large 56x122 corner lot, lovely well maintained gardens, new drain tiles, sewer and water lines, newer roof, interior and exterior paint. Hardwood floors on main, master bedroom, spacious living room, cozy den, dining room and kitchen overlooking fenced backyard. Two large bedrooms up, small nursery or office and 4 piece bath. Lower level has finished rec room and lots of unfinished space waiting for your ideas! Double carport and close to Kerrisdale Elementary, Crofton Schools and shops along Dunbar and Kerrisdale.